The open heart-shaped sculpture is a tribute to Vaclav Havel, the late president of the Czech Republic. 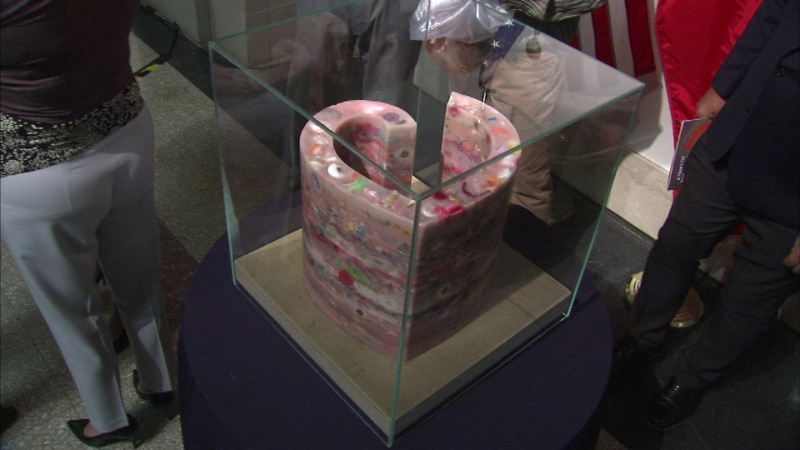 CHICAGO (WLS) -- A new sculpture was unveiled at Chicago City Hall Monday that pays tribute to Vaclav Havel, the late president of the Czech Republic. He sculpture is made in the shape of an open heart from candles left behind after Havel passed away. Havel used the heart as his personal symbol. The sculpture will remain on display until August. The unveiling coincides with the city's recognition of Prague Days.